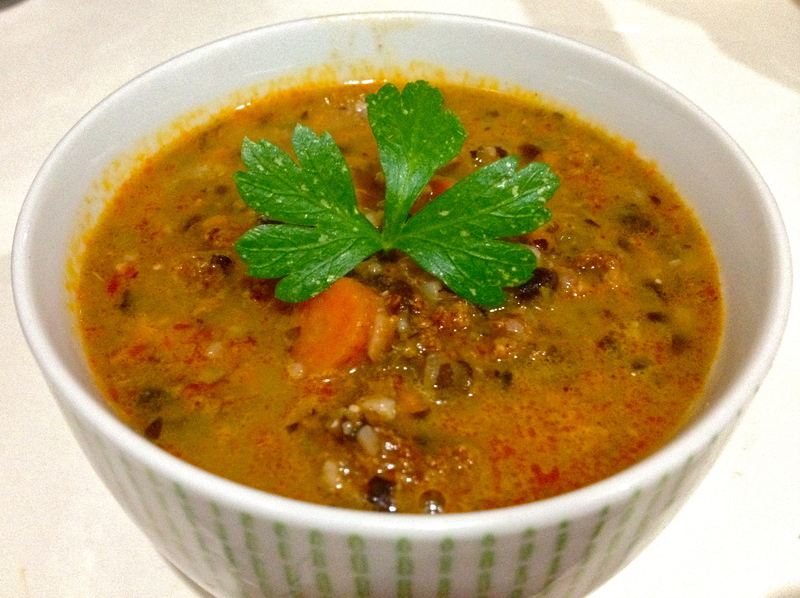 Silent Black Bean and Chorizo Soup. Beans. They taste great and are so good for you, but sometimes, ahem, they make you regret eating them. I ate a lot of beans in college, and because I loved my roommates, I worked long and hard to figure out a way to prepare beans so that they would no longer be the “musical fruit” of the children’s rhyme. When I finally was successful in producing an indigestion-free bean, I named them “silent black beans”—they were musical no more! This black bean and chorizo soup is a variant on my original Silent Black Bean Soup; the chorizo is such an amazing addition that I’m not sure I’ll ever make the original version again! 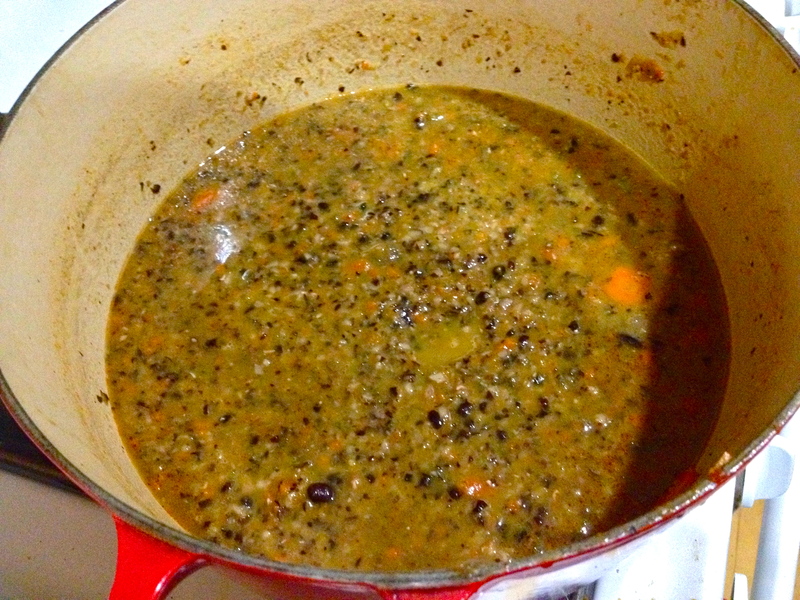 So prepare your beans using my tested and roommate-approved method and enjoy a bowl of silent black bean soup, secure in the knowledge that “the more soup you eat, the better you feel, so eat your beans at every meal”…silently, of course. First, the beans – these need to be prepared a day in advance. Pour the dry beans into a large bowl and cover with water. 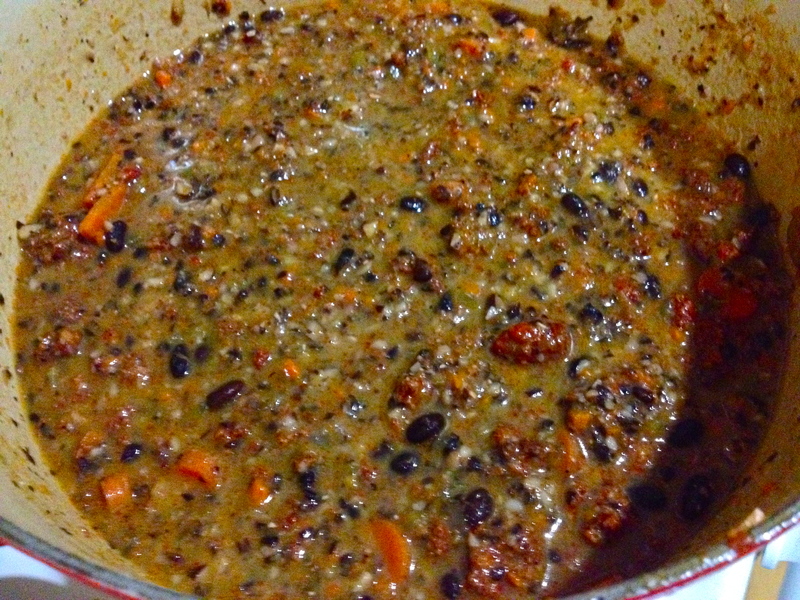 Pour in the vinegar, mix it around a bit, and let the beans sit for 18-24 hours. The water will gradually turn a purply wine color. Once the beans have soaked, rinse them thoroughly under cold water. Then place them in a Dutch oven or other large pot and cover them with water. Bring to a boil and boil for two minutes. 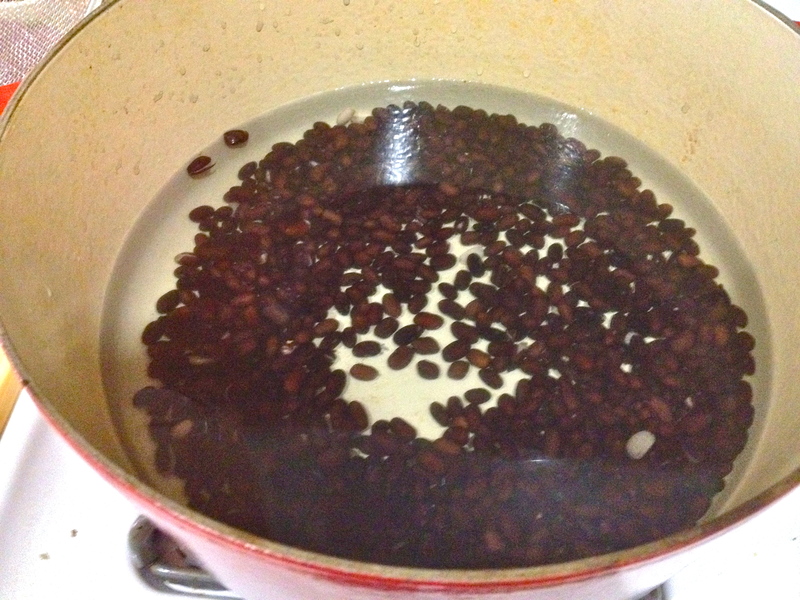 After two minutes of boiling, remove beans from heat, drain completely, and rinse again under water. 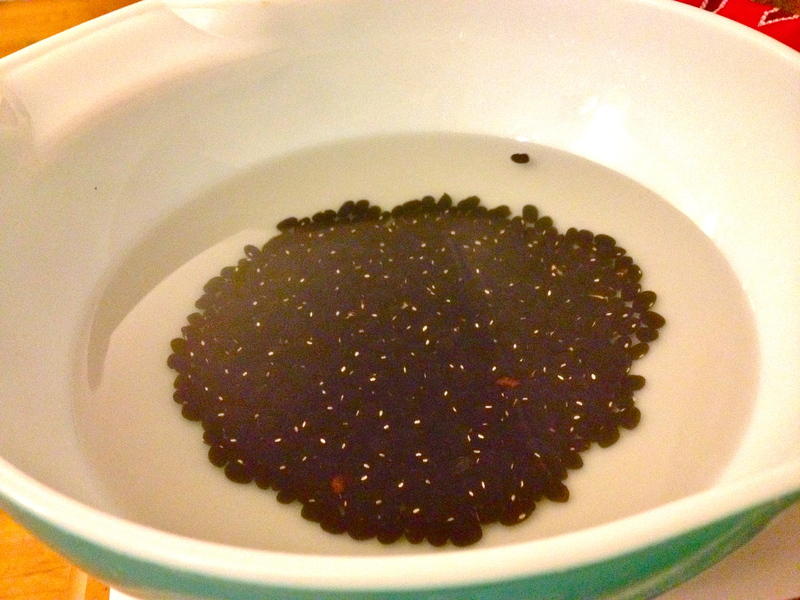 Pour beans back into the pan and cover with two inches of water or chicken stock. Add bay leaves and bring back to a boil. Turn down to a steady simmer (or even a low boil) and cover. Meanwhile, add a splash of oil to a saute pan over medium heat and add the chorizo. Cook, stirring occasionally, until browned and done. 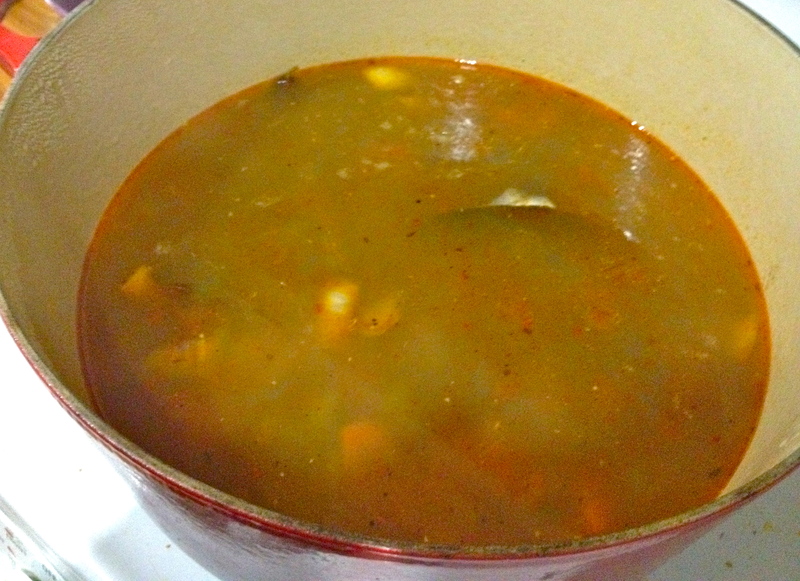 Remove from pan, leaving some of the juices behind to cook the veggies. 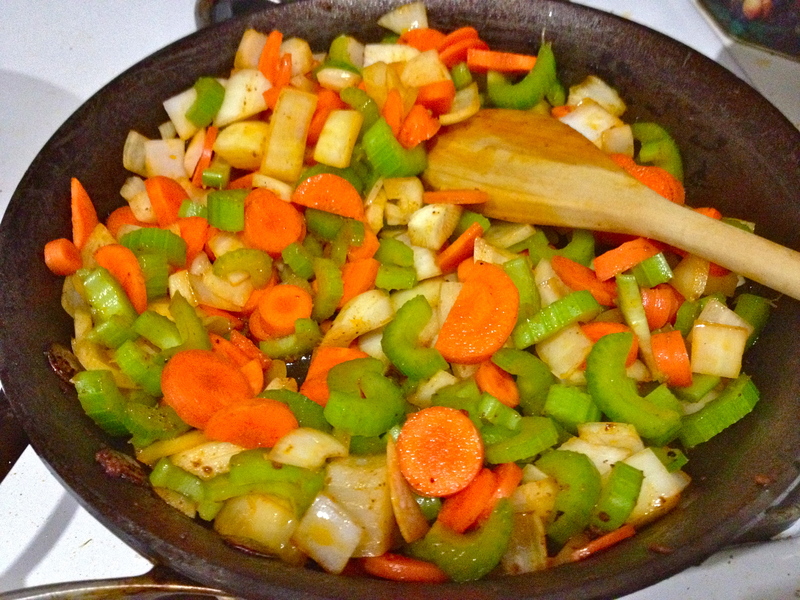 Place onions, celery, and carrots into the pan with the chorizo fat, and stir. Cook until all the veggies are softened. Remove from heat. Now we start assembling the soup. Add the cooked veggies to the bean pot, along with the cumin, cayenne, red pepper flakes, and pepper. Continue to cook until the beans are tender; this took me at least 2 hours of cooking. 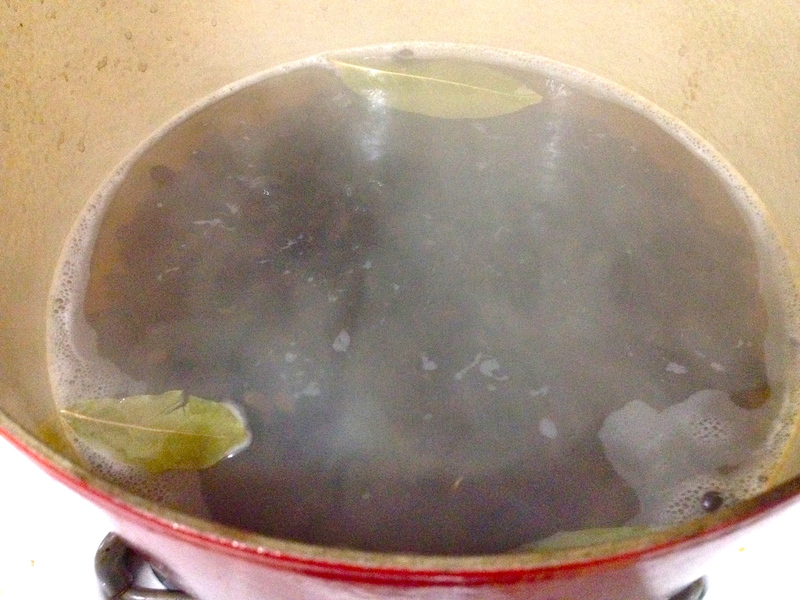 Once the beans are tender, remove the bay leaves. If you want, you can puree the soup at this point. I like to puree most of it, with a bit of chunkiness remaining, for texture. Finally, stir in the chorizo you set aside earlier. Serve hot and garnish with parsley or cilantro, sour cream, and maybe a few crumbled up tortilla chips. And let me know if you’re brave enough to eat this before a date! Previous Roasted Brussels Sprouts and Homemade Garlic Mayonnaise. 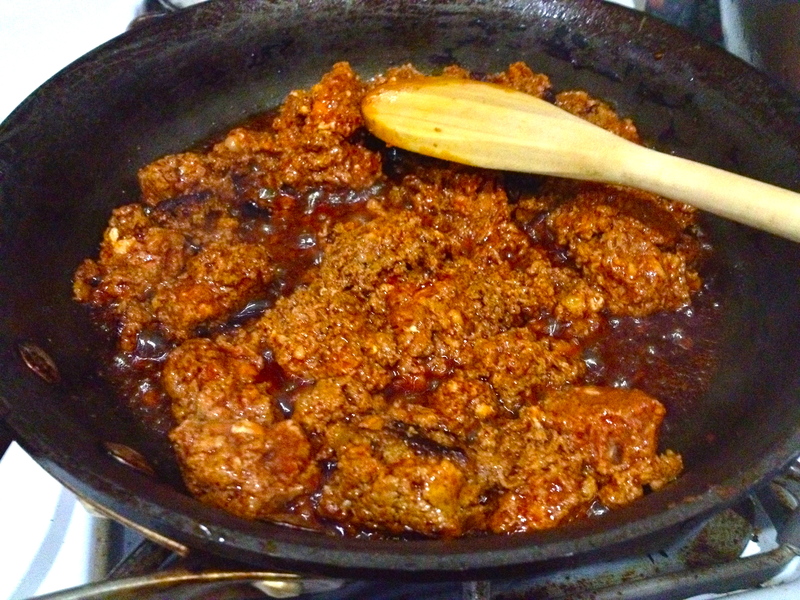 I love chorizo…must try this! It’s totally sinful! I’ve made this before without the chorizo and it just reaches a whole new level – wayyy good.